But we do still have the scooters, and now we do finally have some rules on them in the city limits. You can’t ride scooters on the sidewalks in the heart of uptown. They can’t go over 15 miles an hour. The three scooter companies now operating in Charlotte will have to pay some kind of fees, although it’s not yet clear what those fees will be. This is one of those issues that is easy to frame as a generation gap. You can sort of see an old guy shaking a cane at these kids, with their e-scooters and their vaping and their pour-over coffees. Get off my lawn! There’s also some worry that the fad will fade and leave us with a bunch of empty scooters littering our streets. There was a time not that long ago when we thought everybody would be riding Segways. That didn’t exactly catch on. Remember a couple of years ago, when those pay-per-ride bikes were a big thing? I don’t see nearly as many people on those bikes anymore. My photographer friend Logan Cyrus took a great series of pictures of those bikes abandoned on dead-end streets, at the edge of the woods or in one case, at the bottom of a pond. But more than all that, I think, we’re entering an age that is strange to many of us – an age when what we ride is not that big a deal anymore. Kids have always treasured their favorite bikes and skateboards. For most of us, our first car was a huge rite of passage, even if the car itself was a dump. (I had a ’71 Buick LeSabre that we called the White Shadow.) Many of us have measured our progress in life by the cars we’ve driven along the way. But for lots of people now, the vehicle doesn’t matter – it’s just how you get from one place to another. Teenagers put off getting their drivers’ licenses because there’s always Uber and Lyft. It’s also harder to have a relationship with your car because every car is so complicated now. I think that’s one reason for the decline of NASCAR. Kids can’t grow up tinkering with their cars. If something goes wrong, you have to take it to the shop and hook it up to the computer. And in the future, if we end up with driverless cars, we won’t even feel the thrill of getting behind the wheel. Vehicles are becoming less about who we are than they are about where we need to go. That’s not necessarily a bad thing. It’s just different. And so we ought to make room for the scooter riders in our lives, even if we’re not one of them. And by the way, when the hoverboards finally come, clear a path. Because I’m climbing on. 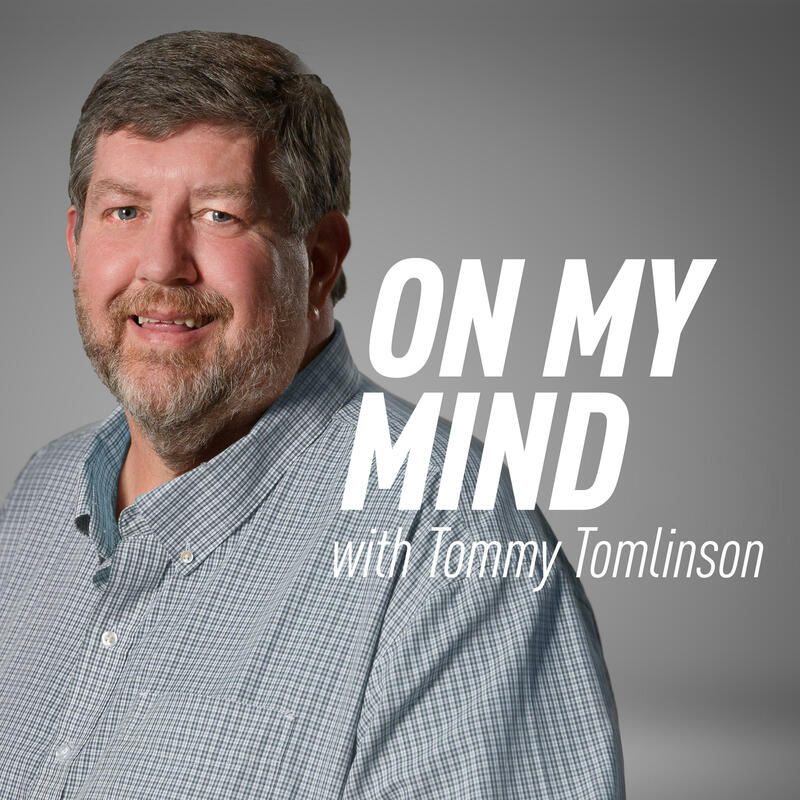 Tommy Tomlinson’s On My Mind column appears every Monday on WFAE and WFAE.org. It represents his opinion, not the opinion of WFAE. You can respond to this column in the comments section below. You can also email Tommy at ttomlinson@wfae.org. Thomas Davis didn’t want to talk about the pain. I interviewed Davis, the Carolina Panthers linebacker, in the fall of 2013 for a magazine story. He was in the middle of an astonishing comeback. He was the first NFL player – maybe the first player in any sport – to tear the ACL in the same knee three different times and return to play again. We tried to explain. It took about half an hour. A lot of people take the end of the year to make wild predictions about what will happen in the next one. If you hit on one out of 10, you look like a genius, because nobody remembers the nine you got wrong. Still, I’m not much of a gambler. I liked to make predictions that I’m pretty sure will come true. So in that spirit, here are my Safe Bets for 2019.